Ringing in the Olympic Games and the London 2012 Festival, Deborah Warner has collaborated with actor Fiona Shaw to design an installment entitled Peace Camp. The massive installation and soundscape will encircle the UK from coast to coast to commemorate the Olympic Truce. Back in the day, the Greek's would institute a ceasefire Olympic Truce during the Games to ensure safe travel for the athletes competing. 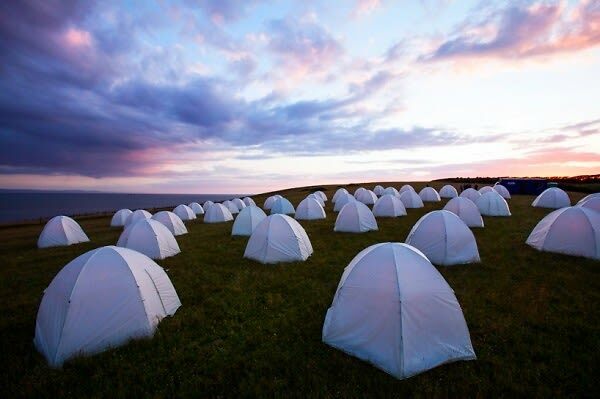 Starting Thursday, July 19 from dusk to dawn, eight coastal locations will feature the illuminated tents, including Mussenden Temple along Ireland's Coleraine, and the ruins of Dunstanburgh Castle in England. 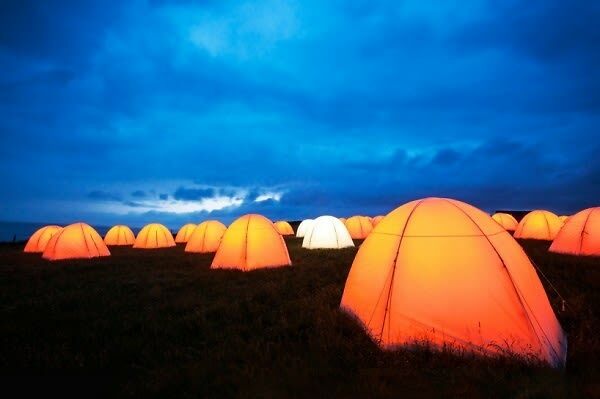 In addition to being illuminated, the 2,000 camping tents will all play recordings of spoken words and love poems, in hopes of representing the various traditions and languages across the centuries. An online version of the Peace Camp is available for those who can't go visit the installment. Online users will be able to record their own readings of the poems, and even dedicate personal messages. For a limited time, you will also be able to download the soundscape created by Mel Mercier. The installation begins today and will continue to run through the weekend. You can visit Peace Camp online, HERE!